Get more mileage out of your lenses. Purpose Eye Care Manufacturer Alcon Active Ingredients A Sterile, Buffered, Isotonic, Aqueous Solution Containing: Sodium Citrate; Sodium Chloride; Boric Acid; Sorbitol; Aminomethylpropanol; Disodium EDTA; Two Wetting Agents (Tetronic 1304 and HydraGlyde Moisture Matrix [EOBO-41 Polyoxyethylene-Polyoxybutylene]) with Polyquad (Polyquaternium-1) 0.001% and Aldox (Myristamidopropyl Dimethylamine) 0.0006% (Preservatives) Directions For optimal lens moisture, hydration and cleaning, fill the lens case with fresh solution every time lenses are stored. Never reuse solution. 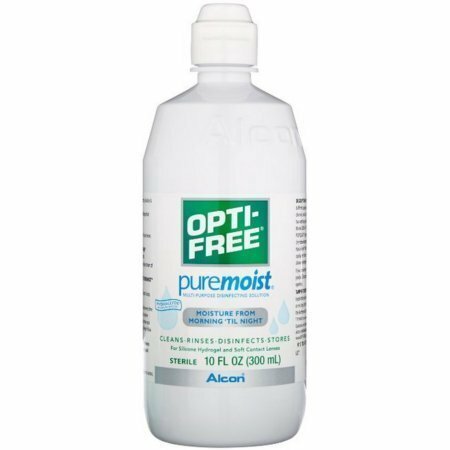 This will help achieve maximum lens surface moisture for all day comfortable lens wear. Store at room temperature. Uses Removes protein deposits and reduces lipid deposition for silicone hydrogel and soft contact lenses. Provides comfort and moisture from insertion to removal. Effective yet gentle formula that kills germs. Sterile. Warnings If you are allergic to any of the above ingredients, do not use this product. Reuse of solution or use of water with lenses may lead to contamination resulting in eye injury and potential loss of vision. See package insert inside carton for complete instructions and additional important safety information.